During the winter season, most of the people wish for hot water in the morning to take bath. There are several other reasons why most people use water heaters in their home. You can finda wdie range of water heaters on DealsCorner from well-known brands and online stores like Flipkart, Amazon, Shopclues, Snapdeal, and many more. At DealsCorner, you have the flexibility to compare the prices offered by the various online stores and then choose the product of your interest in the lowest price range. Before choosing the water heaters, one should be pre-informed that the water heaters can consume up to 25% of the energy consumption of any average household. There are majorly two types of water heaters like storage tank heaters and tankless water heaters. The storage water heaters are designed to store water and then heat the water inside it. 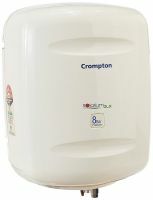 It is made up of insulated storage cylinders, thermostat, control panel and valves. 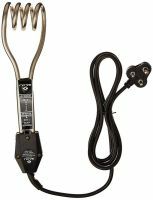 When the tap water enters the storage tank, through the heating coils, the water tank has auto-shut off valve which switches the heating element on and off. The storage tank also has a water release valve from where the hot water is released. The lower portion of the water heater has the drain valve which contains the excess sediments that accumulate inside the water heater. Most of the later water heaters have control panel from where you can view the details of temperature and water level. It is convenient and simple to replace the tank in the storage tank model. You can also find the tankless heaters which are also known as instant water heaters. 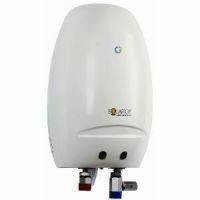 These water heaters do not have storage tank, in fact the heating capabilities of these water heaters are superior than the storage tank models. It can instantly heat the water using the electromagnetic reaction, up to the defined temperature. The tankless water heaters are comparatively costlier than the storage water heaters. The water heater sizes depend on the model and make. Most of the water heaters consume electricity, but there are few models which works on the gas or oil. The gas unit can work on natural as well as propane gas. There are hybrid designs and solar water heaters also. Choose the water heaters which best suits your needs. While choosing the oil fired water heaters, ensure it is properly ventilated. 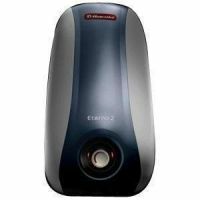 You can find a wide range of water heaters on DealsCorner from well-known brands and online stores. We have many well-known brands like Bajaj, Racold, Compton Greeves, Havells, V-Guard, Haier, Kenstar, Khaitan, Usha, Warmex, Nova, Marc, Morphy Richards and many more. At DealsCorner, you have the flexibility to search the product of your interest, compare the prices offered by the various online stores and then choose the product of your interest in the lowest price range available in India. Keep shopping on DealsCorner and share your reviews with us. Enjoy your shopping on DealsCorner.